GOURNAS ATEE is a Construction and Development Company, specializing in providing turnkey solutions for a broad base of projects and buildings in Greece – a unique destination thanks to its location, culture, and myriad of world-famous islands. 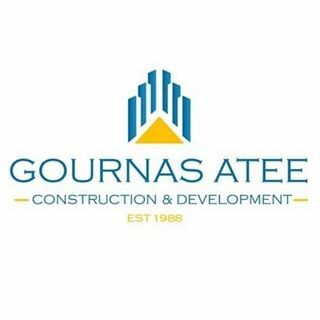 Since its founding in 1988, GOURNAS ATEE effectively responds to ever-changing trends and needs in real estate, offering services with added value: from smart and Eco efficient apartments and luxury villas, to hotels and office buildings. We are ranked among the top players in the housing construction and real estate industry, and we offer integrated services specifically tailored to the needs of each potential customer. Our services include spotting exclusive land plots, creating distinctive architectural designs, and constructing using the latest methods and materials while always taking into consideration the environmental, legal and financial parameters of the project. Our main goal is to build strong relationships of personal trust and assurance with our clients. Make a property decision in Greece with confidence.